If you prefer to travel with a partner and have already found one, it is important to sit down and discuss the trip in advance. So you want to travel the world. Congratulations! Making the decision to go is the first and biggest hurdle, and you’ve already overcome it. The rest is just logistics. The first thing people want to know when you tell them you plan on travelling is where you are going so you’ll want to make up your mind about this pretty quickly. There is no need for a detailed itinerary in the early stages but a rough idea will help shape your plans and give you something to aim towards. “It’s a small world,” they say. ‘They’ being those who have never been faced with the possibility of going absolutely anywhere of their choosing in the world. Picking destinations is difficult but not impossible. If you have already caught the travel bug then chances are there is at least one place in the world you are dying to visit. Pick that place first. Next, I would suggest investing in a world map. Not only will it help you choose your stops and visualise a route but it will also give you a little kick of inspiration every time you glance at it. If you have stared at that map for ages and still aren’t sure which corner of the globe takes your fancy, read through some travel magazines or blogs and see if anywhere appeals to you based on available activities or climate. Other things to consider when planning your journey are how long you are comfortable with being away for and at what pace you prefer to travel. Also, make sure to do some research on the countries you are interested in as some are best visited at particular times of year. Whichever countries you choose to include in your route, remember this: do not determine your route by your budget. Instead, determine your budget by your route. Making the decision to leave all that is familiar to you for an extended period of time is tough; don’t set limits on the experience before you have even left. Exactly how much money you will need for your journey depends entirely on your individual preferences. If you are happy to stay in hostels and use local transport then your budget will be much less than that of someone who is only comfortable in high-end hotels and taxis. To make counting your expenses easier, split them into two: initial and daily. Initial expenses are the one-offs that you have to invest in before you can leave. Airline tickets, your backpack/suitcase and everything that needs to go in it, visas, travel insurance and any necessary vaccinations all fall under this category. Daily expenses are harder to calculate as they differ greatly from one country to the next. You should account for accommodation, food and drink, transportation and sight-seeing or entertainment. Guidebooks will be a big help to you in figuring out these costs. You can also get some great advice on online forums such as Travellers Point or Lonely Planet’s Thorn Tree. Money, or the lack of it, is the reason so many people put off travelling. If I had a euro for every time I have heard the excuse, “I can’t afford it,” I would be well on the way to my next world trip by now. The trick to being able to afford your grand adventure is making it a priority. Estimating a budget will help you to be organised and save the cents until you reach your goal. Once you have worked out how much you are going to need, the saving can begin. 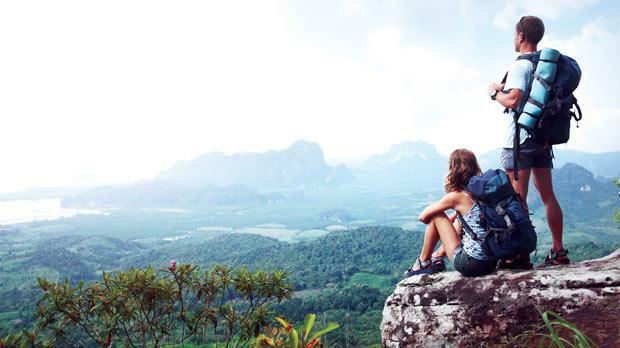 Most of us are not so privileged as to have enough money to travel the world overnight. It takes patience and discipline but managing this is one of many ways in which travelling will help you grow as a person. Another important thing to consider when planning your world trip is whether you will travel with somebody or alone. If you prefer to travel with a partner and have already found one, it is important to sit down and discuss the trip in advance. Your travel buddy may have been your friend since primary school but that doesn’t necessarily mean you have the same ideas about how you want to travel the world. Alternatively, if you want to see the world with someone by your side but have not yet found the right person, it is possible to team up with like-minded individuals thanks to the internet. There are numerous websites which allow you to search for and contact potential travel partners based on when and where they are going. Don’t let not having somebody to travel with deter you from following your dream. Travelling alone might seem like a scary thought but it’s actually easier than you would think. It allows you to have as much freedom as you want and you would be surprised at how simple it is to meet people on the road.